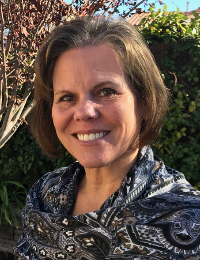 Vickie Smith is a Nationally Certified Licensed Massage Therapist in Nevada and Arizona, Healing Touch Certified Practitioner/Instructor, Cranial Sacral Therapist, and Reiki Master/Teacher specializing in Emotional Trauma Release Work. Vickie is Co-owner of Capstone Wellness Center in Las Vegas, Nevada where she has a private practice in holistic bodywork. Her own path to healing from childhood trauma led her to study Healing Touch along with many other complementary and alternative modalities. She has been active in the art of Therapeutic Bodywork and Human Energetics for over twenty years, sharing on the power of touch through lectures, workshops,retreats and as a Qualified Healing Touch Mentor. Vickie believes that her mission is to hold a safe space for energetic exploration and a “healing presence” so that her clients or students can find their own inner healer.